Kilt Belt Black Leather Belt Kilt Belt Double Prong Double Hole Belt | Holy Heck U.S.A. This unpretentious kilt belt compels command with simple confidence. Handmade with genuine 9/10 ounce leather, this kilt belt comes in 1 1/2 inch, 1 3/4 inch and 2 1/2 inch widths. 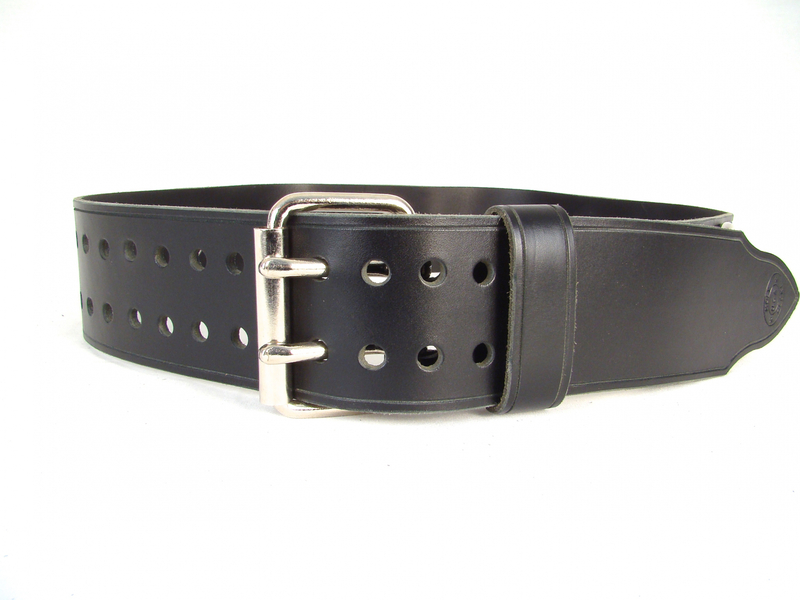 This fashionable leather belt has double holes and a stylish grooved accent line throughout the length of the belt. Awaken your Celtic spirit with this straighforward leather kilt belt.